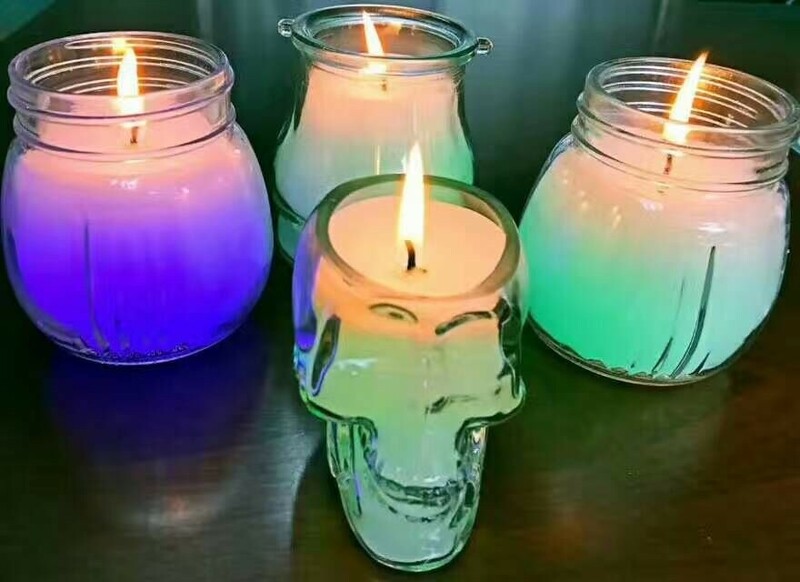 Glass Candles are mainly used for home decoration, office, bar, karaoke hall, restaurant, outdoor and indoor party decoration. At present, high quality Scented Candles are very popular in the market, especially Ceramic Candles and Frosted Jar Candles .Large Capacity Ceramic Candles can burn for a long time. At first glance, these stylish Led Candles appear to be your classic wax affairs, but set them alight and you`ll soon discover that there`s much more to them than first meets the eye – not only does the wick light up, but the base glows too! These round pillar-style candles each contain a white LED that sits within the bottom of the candlestick. When you light the wick, the hidden LED automatically activates and sends an ambient, pulsating glow around the candle`s base. Blow the flame out, meanwhile, and the LED automatically `extinguishes` too. Magic! Designed to complement the flickering flame of the wick at the other end, the inbuilt LEDs create a gorgeous glow that really sets the mood for any evening occasion. Display the LED Candles individually or together to create room decorations, table centrepieces or cosy atmospheric mood lighting at the strike of a match. Looking for ideal Color Changing Led Candle Manufacturer & supplier ? We have a wide selection at great prices to help you get creative. All the Decorative Led Candles are quality guaranteed. We are China Origin Factory of Magic Led Candles. If you have any question, please feel free to contact us.